The world of arts and culture has endured vast changes over the past decades. New business and leadership skills are required for institutions to safeguard future success. 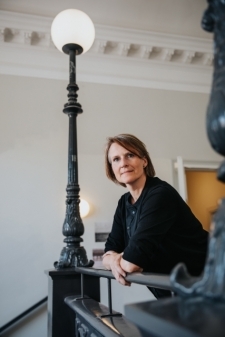 Sanne Kofod Olsen is the newly appointed Dean of the Faculty of Fine and Applied Arts at the University of Gothenburg. An art historian by training, she has held managerial positions within the culture and arts sector since 2005. Kofod Olsen is a great source of insight regarding the challenges that today s leaders face in arts and culture institutions. Arts and culture management is quite a specific talent. You have to be skilled at managing a very diverse group of people – administrative staff and art experts for example – and you must be a gifted strategist with fresh ideas and fundraising skills, Kofod Olsen notes. “Awareness of the special characteristics of arts and culture are key. I may be idealistic, but I feel that to succeed as a leader in our field, it is important to have a solid background in culture and arts, in addition to excellent leadership skills,” she says. Professor of Practice at Aalto University, Dr. Pekka Mattila, has served as a Board Member for various arts and culture organizations for nearly two decades, and he is well known for his passion for culture. Mattila affirms that new business and leadership skills are in dire need in arts and culture organizations. He underlines that the days are long gone when arts and culture institutions could count on a fixed budget each year. To succeed as a leader in our field, it is important to have a solid background in culture and arts, in addition to excellent leadership skills." “Many institutions operate on very limited budgets, with cuts being made in everything possible. The competition for resources and audiences alone call for a new level of leadership,” Mattila says. “To add on to this pressure, the difference between popular culture and high culture has melted away completely – both now compete for the same audiences. Furthermore, newfound transparency in arts and culture organizations also puts leadership under scrutiny,” he adds. In arts and culture institutions, it is typical to have experts ascent to leadership positions. Consequently, many leaders have little or no formal leadership training when they embark on their journey in management. Simultaneously, the job of a leader in the arts and culture sector is becoming more complex and difficult each year. 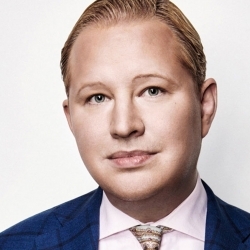 “Today, you must master the parallel tracks of expertise in both arts and culture and visionary leadership from the start, in order to successfully run an organization in our field,” Kofod Olsen says. Kofod Olsen emphasizes that freshly appointed managers in the arts and culture sector need to master a great deal of skills before they can hope to steer their organization toward success. For example, the level of strategic thinking required may come as a surprise – as may the need to master communication skills. “In the harsh competition for funding, leaders need to know how to engage in impactful dialogue with funding bodies,” Kofod Olsen stresses. Pekka Mattila proclaims that unfortunately, many leaders in the field are not yet effective enough in justifying their own organization’s case, purpose and impact. “If arts and culture institutions do not share a vocabulary with financing bodies – corporate sponsors, partners, foundations, governments, municipalities or the EU – it puts them in a poor position to negotiate, as they are dealing with parties far superior in these issues,” he says. Kofod Olsen agrees with Mattila’s assessment. She also points out that fundraising is directly interconnected with strategy: you cannot obtain funding without a solid strategy and vision – and the ability to share them with others in a compelling manner. “You must be able to create a persuasive vision for your institution, have a sharp outlook on how to profile it, and know how to attract audiences – in addition to all the other traits of a good leader, which are required in any field,” she concludes. Future Leadership in Arts and Culture is a new program starting in 2019. 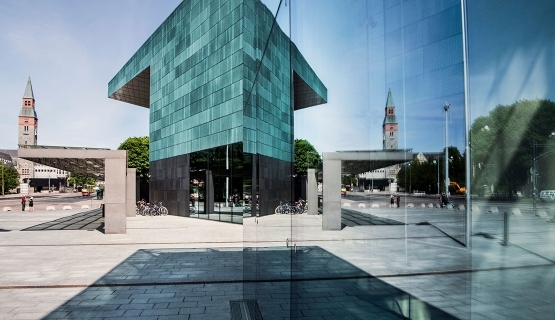 Created in collaboration by Gothenburg University School of Executive Education and Aalto EE, the program aspires to coach the next generation of top leaders in arts and culture. In addition, it aims to form a cultural bridge amongst arts and culture leaders across the Nordic and Baltic states. Read more about the program.